This badge was issued to Dany Allard on 01 Apr 2018. 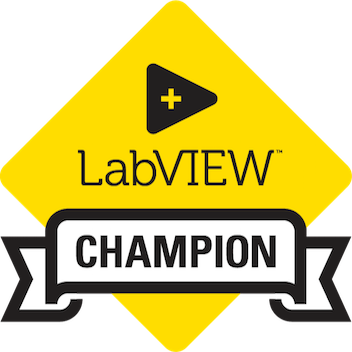 LabVIEW Champions are National Instruments platform enthusiasts who have been recognized for their exceptional application development, technical depth and breadth, leadership, and contributions to the LabVIEW community. These individuals are positive contributors, advocating for the NI platform while providing constructive feedback. LabVIEW Champions are third-party individuals who have received recognition from National Instruments for their outstanding contributions to the success of LabVIEW.